Thursday, March 9, 2017 (Halifax, NS) – Halifax Regional Fire & Emergency (HRFE) wishes to remind you to ‘spring ahead’ this Saturday night before you go to bed. Wednesday, Mar. 8, 2017 (Halifax, NS) – The Halifax Regional Municipality is advising residents and motorists that Doyle Street, from Brunswick Street to Queen Street, will be closed to vehicular traffic on Thursday, Mar. 9. Friday, March 3, 2017 (Halifax, NS) – The Halifax Regional Municipality is advising residents and motorists that part of Argyle Street will be closed to vehicular traffic on Monday morning between Sackville and Blowers streets. Friday, March 3, 2017 (Halifax, NS) – To minimize potential damage to municipal streets and roads, the Halifax Regional Municipality will introduce its annual spring weight restrictions, beginning at 12:01 a.m. on Monday, March 6. Thursday, March 2, 2017 (Halifax, NS) – The recent Nova Scotia Provincial Court decision dealing with the case of former taxi driver Bassam Al-Rawi is one the municipality takes quite seriously. Thursday, Mar. 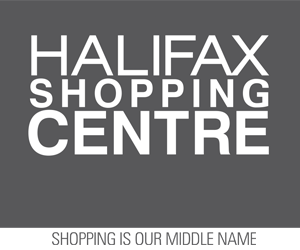 2, 2017 (Halifax, NS) – The Halifax Regional Municipality is advising residents that work to convert traditional streetlights to new energy efficient LED streetlights has moved into District 5 (Dartmouth Centre). Wednesday, Mar. 1, 2017 (Halifax, NS) – The Halifax Regional Municipality is advising residents and motorists that Doyle Street, from Brunswick Street to Queen Street, will be closed to vehicular traffic on Thursday, Mar. 2.